Amy and her family have recently moved to the country. 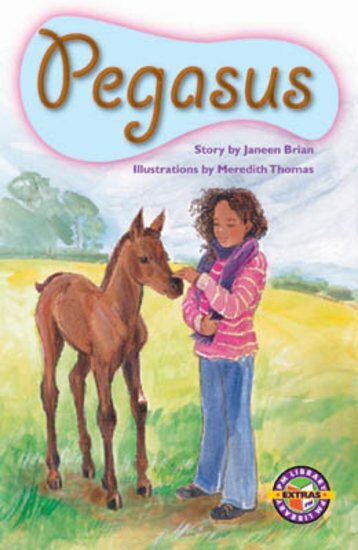 When their horse Challenge has a foal, Amy is determinded to call it Pegasus, after a legendary Greek horse that can fly. Pegasus also has special significance to Amy – it comes from a story that she used to read to a special friend, who was no longer able to read herself. Zack is Amy’s brother. He has other ideas about naming the foal. Will Zack get his own way, or will Amy get to name the foal Pegasus – a name to remind her forever of a very special friend.